I was never really one to sit & watch Youtube for hours. When the husband would stay up late, watching car videos on loop, I rolled my eyes. That is, until I stumbled upon my first "booktube" video. "Booktube" is a fast growing community that can be found on Youtube. A person who is extremely passionate will set up a camera & film various book-related videos. These Booktubers share their lives, passions, & opinions with their viewers. The videos are not always book related but a majority of the time, they are. These videos tend to rope a book lover, like myself, in. It's easy to find yourself still sitting in front of your computer hours later. Having watched tons of videos & added 50+ books to your TBR (to be read) list on Goodreads. Haha. It sounds completely ludicrous but trust me... it happens! A majority of my Youtube subscriptions are Booktubers. With that being said, I'm not able to list all of my favorites in one post. Or we'd be here for days. I will, however, share some of the first personalities that I fell in love with.... Enjoy! Katytastic (aka Kat O'keeffe) was the first Booktuber that I came across. It was her videos that pulled me into the exciting world that is 'Booktube'. She is still a favorite of mine today. The video below is actually the video that peaked my interest about The Coldest Girl in Coldtown by Holly Black. You can find my review for it here. Abookutopia (aka Sasha) was an extra on the Divergent movie. She's also a really awesome Booktuber! Sasha has a unique style about her & her videos. Her videos never get old & she has so much to offer. I just noticed that she also has a book blog there she promotes authors, does book reviews, & holds cover reviews. Little Book Owl (aka Caz) is a Booktuber from Australia. She is fantastic to watch. Not to mention, she has an awesome bookmark collection! I can almost guarantee that once you watch one of her videos, you'll be quite smitten with her & her videos. The video below is from one of her book hauls. It's all the books she got while visiting America & Canada. Thoughts on Tomes (aka Samantha) is a Booktuber that I just happened upon by accident. It was through mention in another video that I learned about her. And boy am I appreciative. Samantha is amazing!! I particularly enjoy the book tags that she participates in & her book chats. It's a bit more personal than some of the Booktubers out there. She also has a book blog. PolandbananasBOOKS (aka Christine Riccio) is something else. She is a one of many Booktubers but there is no doubt that she is one-of-a-kind! By far! Her comedic touch will keep you laughing until you cry. And her skits... yeah- there. are. no. words. You'll just have to check her out for yourself! 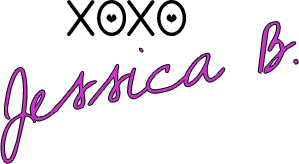 You can also check out her website. So tell me- Do you have a favorite Booktuber? Had you ever heard of Booktube before today? Thanks for your favorites. 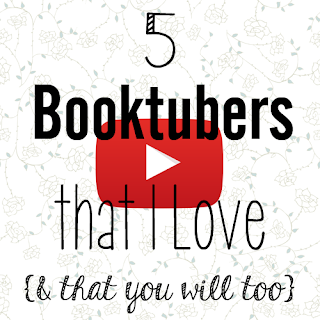 I've never really been a huge fan of booktube but I've heard a lot about these booktubers. Great list! Thank you for stopping by & I'm glad you enjoyed my list :) These really are some of the more popular Booktubers.